She loves all Korean stuff. 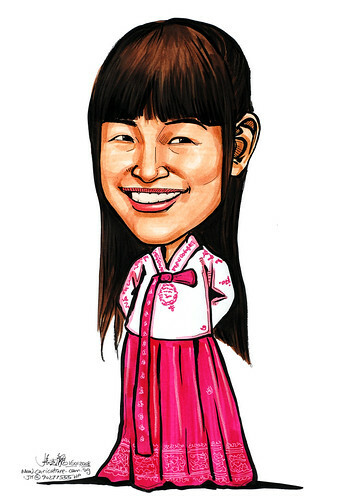 Thus, I drew her in traditional Korean costume. Just happened to see this caricature and the previous caricature the client has ordered, on her blog, when I did a search on who's linking to my blog just now.